Stardust's newest unit from Fukuoka, "Stardust Promotion's group of outstanding talent that comes along once every 100 years," Batten Show Jo Tai. Their name means, "X-mark Girls Corp," formed just this past month. They started out earlier in the year with the temporary name of F-Girls with 7 members, but they've changed their name, dropped a member (Kinoshita Natsuki), and have just started their activities as a new unit and will be releasing their debut single, "Batten Show Jo," on 9/30. Although they come the Fukuoka branch of Stardust, they have stated that they will be representing all of Kyuushuu to spread all over Japan. "Killer smile of a blackbelt"
"Super~ Preeminent~ Innocent Prodigy Girl"
Batten Showjo Tai succeed to Tanahashi-ism and their music genre is Ska-core. 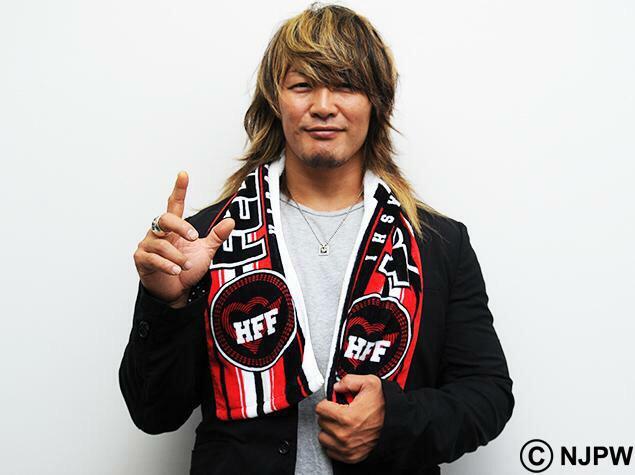 Tanahashi Hiroshi is one of the most famous professional wrestlers in Japan.